"Fiona’s story is both personal and transformative. She lays bare the hopes and anxieties, challenges, betrayals and lessons learned in creating her own business. From the mountaintops of a solar observatory where she was raised, to the struggles and triumphs, her story is like a path of granola crumbs leading the reader to understand how to succeed at any enterprise." - Jeff Kline, M.A. Ed., Chairman, Hispanic Communications Network, Washington, DC. "Fiona Simon is an engaging storyteller and her narrative moves right along. It should inspire and motivate anyone who needs to remember the importance of persistence, belief in oneself, and vision in pursuing a goal. 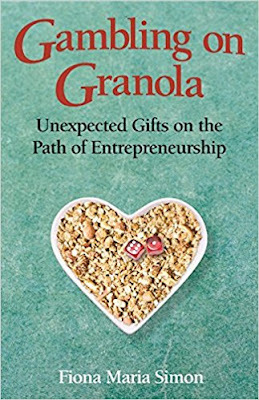 Her granola is good and so is her book." Gambling on Granola is available in in print at Amazon, Barnes & Noble, and IndieBound. To win a copy of Gambling on Granola please enter using the Rafflecopter form at the bottom of this post. The giveaway contest closes Sunday, January 21st at 11:59 PM EST. We will announce the winner the next day in the Rafflecopter widget. Good luck! WOW: Thank you so much for choosing WOW to help promote Gambling on Granola! Fiona: I had been requested for many years to tell my story, and after I sold my business, I had the time and inclination to do that. WOW: It's excellent when others realize the greatness of something even before we recognize it ourselves. How do you balance writing and the busy-ness of day to day life? What advice can you share with other writers? Fiona: Writing is a discipline. It takes focus and dedication. We need to remember to come up for air and recreate once and a while. Sometimes I forget to to do that! WOW: That breathing thing is good for all of us, isn't it? Great advice! Who has been most influential in your journey as an author? How so? Fiona: I have been. Although I’ve written for most of my career, this is my first book, and the first sharing of myself to the world in this way. My editor, publisher, and social media marketing people have offered ongoing encouragement and necessary nudges to keep me on track. WOW: That's an interesting way to look at things. What has been most challenging in regards to writing your story, sharing it, publishing, etc. ; what advice to you give others who may want to share their story? Fiona: The most challenging has been reliving the painful parts of my story. My advice: be authentic and truthful, both to yourself and others (= readers). WOW: What is your favorite book and why? or Who is your favorite author may be a better question? Fiona: My favorite book is The Education of Little Tree. It is a sweet story of a life long gone, and of the courageous Cherokees who did their best to maintain traditional ways in a changing world. I love that the story is told through a young boy growing up with his grandparents. Fiona: Don’t let people dissuade me from following my dreams and passions. Believe in myself and stand my ground. Find my self worth and hold onto it tightly. Surround myself with people who support me. WOW: Such great advice - follow those dreams and passions! Thank you again for being with us today and we look forward to more from you in the future! Fiona M. Simon is in today's author spotlight at Mari McCarthy's Create Write Now Blog - don't miss this chance to learn more about Simon and her book Gambling on Granola. Beverley A. Baird reads and reviews Fiona M. Simon's Gambling with Granola and shares her thoughts on this inspirational memoir. Today's author spotlight at CMash Loves to Read is none other than Fiona M. Simon. Learn more about her memoir Gambling on Granola. Today at Bring on Lemons is and author spotlight for Fiona Maria Simon - don’t miss this opportunity to learn about Fiona and find out more about her memoir Gambling on Granola. Lisa Haselton interviews Fiona M. Simon about her motivational memoir Gambling on Granola. Fiona M. Simon is in today's spotlight at the blog of fellow author and single mom Margo Dill. Learn more about Fiona's memoir Gambling on Granola. Cheri Larson reviews Gambling on Granola by Fiona M. Simon and shares her thoughts with readers at Grow a Creative Biz. This is sure to be a great conversation - don't miss an opportunity to learn from these smart women! Learn more about Fiona M Simon and her memoir Gambling on Granola. Fiona M. Simon takes the spotlight with “Gambling on Granola” at Madeline Sharples blog Choices. 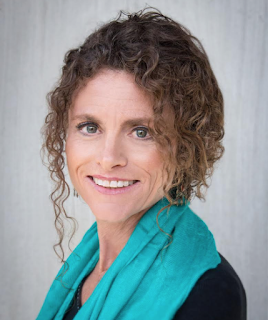 Cathy Hansen - Wisconsin mother and business owner reviews Gambling on Granola by Fiona M. Simon and shares her thoughts with readers. Don't miss this exciting blog stop! Enter to win a copy of Gambling on Granola by Fiona Maria Simon! Just fill out the Rafflecopter form below. We will announce the winner in the Rafflecopter widget on Sunday, January 21st! Fiona--I loved "The Education of Little Tree" as well. Good luck with your future writing projects.